Taking over the decrepit grandeur of Jacob’s Wells Baths for their UK debut, the Japanese dance ensemble Contact Gonzo have teamed up with local performers for the aptly and simply named Contact Gonzo vs Bristol. 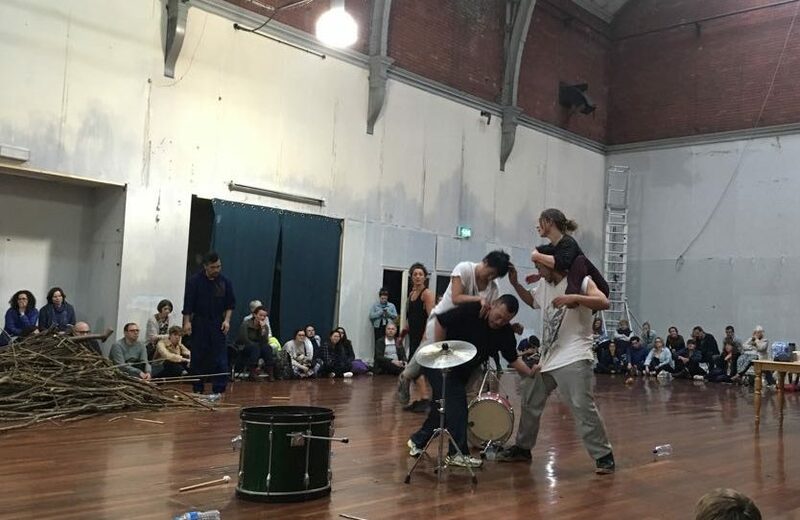 ‘Contact Gonzo’ is both the name for the group as well as their practice, developed by Masaru Kakio and Yuya Tsukahara, the latter of whom is in this show. 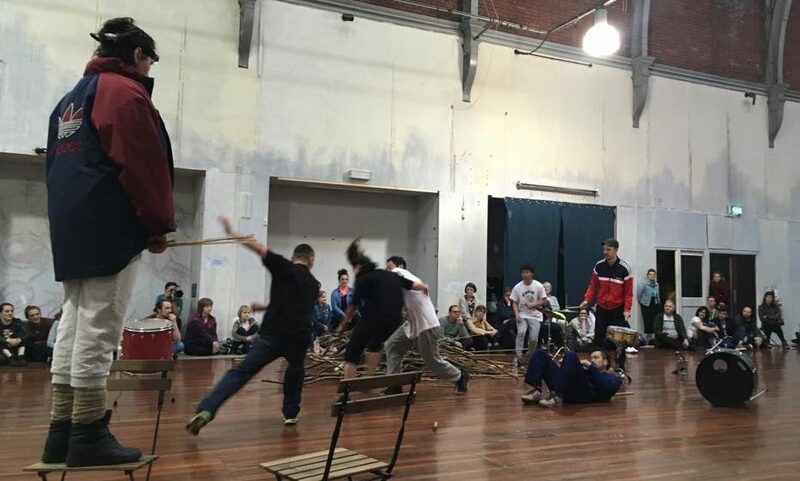 The practice is described as “a kind of dance that’s also a martial art, that’s also a bit like a game that reminds you of something you’ve seen on the internet, or in a slapstick film, or on the streets”. On the evidence of this show, that description holds firm, the performers bounding across the floor to crash into each other, slapping each other’s faces, beating chests and throwing objects about. It’s all fantastically chaotic, and mostly resembles children scrapping in a playground, or young apes tormenting each other. Emotionless and straight-faced, clothes are ripped and co-performers are dragged across the planks. Bristol musician and producer Typesun attempts to play his drums, but they are constantly being thrown away from him, or else he thrown away from them. Contact Gonzo vs Bristol is a thrilling spectacle, covering evolution, war, peace, co-existence and the inter-connectedness of all things. The finale, a heartbeat of tranquility amongst the disorder, brings all the audience together for a touching moment. This is a fine addition to the Mayfest programme. Tagged bristol, contact gonzo, mayfest. Bookmark the permalink.